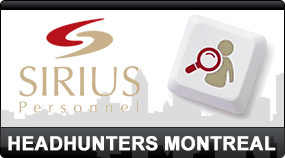 HeadHunters Canada is a specialized directory for recruiting companies in Canada. We are dedicated to putting all head hunters in Canada under one online “roof”. Our mandate is to help you, hiring manager or human resources professional to connect with head hunters with a specific specialization or by location. Our aim is to provide you with additional resources to help you find your way. If you have suggestions on how to make the experience at HeadHunters Canada better, please feel free to email us through our contact form.